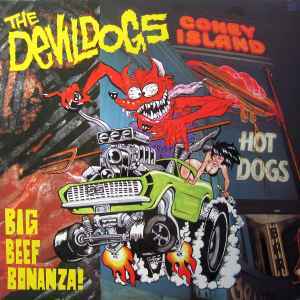 The Devil Dogs ‎– Big Beef Bonanza! I've got a copy. Same front cover. Romilar-D/Crypt on back cover. Romilar-D labels on record. seems like it got released. Romilar D never released this album. Some sleeves were printed, but the actual record never was made.